Crocodiles of the World is a conservation and education centre. 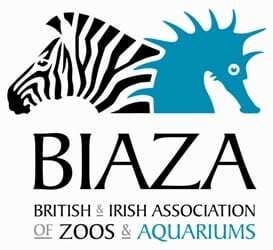 Its aim is to inform and educate adults, children and infants about animals and conservation. Our award-winning zoo is also the holder of the Quality Badge for Learning Outside the Classroom (see below), so your visit is in great hands. Crocodiles of the World is fully insured for school visits and outreach work and policy documents are available to view on request. The doctor prescribed this drug to my doctor for the treatment of muscle hypertonia. It would be fine but Soma caused me concern. On the advice of my loved ones, my friend (who is a pharmacist) and the pediatrician who listened to my concerns I decided to give this drug to my kid. There were some side effects. We are the UKs only crocodile zoo. Therefore, you will see the largest collection of crocodiles and alligators in the UK, and one of the most significant collections in the world. These animals are not only our passion, but they offer an exciting way for us to explain many aspects of biology, physiology, habitats, adaptations, evolution, ecology and behaviour. In fact, because we are experts with these amazing animals, we can use them to illustrate many parts of the school curriculum. We always want to use our time together to reinforce what the children have been learning in class at school, but we also want them to gain a true appreciation for crocodiles and the role they play in their world. We are lucky to have such a collection of animals to use as our classroom here at Crocodiles of the World. Our Learning Sessions and Workshops are held in our recently upgraded Education Room. This room is complete with our 84 inch Smartscreen, which makes the presentations even more fun and interactive than ever. 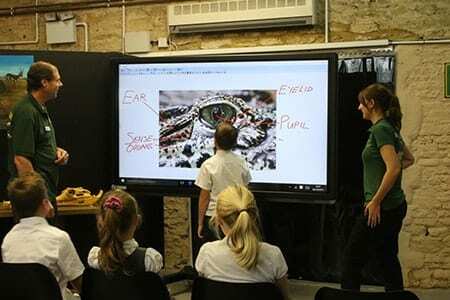 During your stay, there are also the daily talks and feeding demonstrations within the zoo, so the children will get to experience these, guided by one of our Education Team who will be able to answer any of your questions. We have been awarded the Quality Badge from the Council for Learning Outside the Classroom. This means we fulfil the exacting requirements in providing a rich and comprehensive learning experience to those school groups visiting us. It also means you can be assured that we can provide your school with a high quality program, unique and tailor-made to your needs. We take pride in our approach, and it is great to be recognised with this Quality Badge.